09.2009 - Present, Associate Professor, Department of Chemistry, KAIST. 07.2004 - 08. 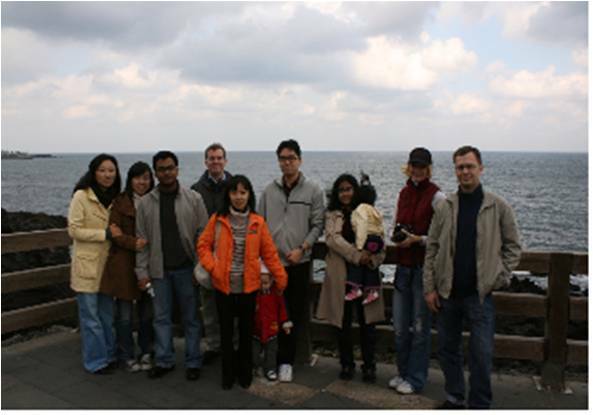 2009, Assistant Professor, Department of Chemistry, KAIST. - Open for students to explore their own ideas. - UV/Vis , Fluorescence, CV spectroscopic instruments are completely set up. - Sufficient space and student`s own fume hood for research. "Metal-Free Intermolecular Cfur-Nsucc Bond Coupling of Highly Substituted 3-Furancarbaldehydes and Their Use in meso-Substituted BODIPY Synthesis" Atul P. Singh, Kang Mun Lee, Kibong Kim, Taehong Jun and David G. Churchill, Eur. J. Org. Chem. 2012, 931–939. "Labile zinc-assisted biological phosphate chemosensing and related molecular logic gating interpretations" Kibong Kim, Yonghwang Ha, David G. Churchill, Inorg. Chem., 2012, 51, 928-938. "Facile ‘‘one pot'' route to the novel benzazulene-type dye class: asymmetric, derivatizable, 5-7-6 fused ring puckered half BODIPY design" Dhiraj P. Murale, Kang Mun Lee, Kibong Kim and David G. Churchill, Chem. Commun., 2011, 47(46), 12512-12514. "Interplay of salicylaldehyde, lysine, and M2+ ions on -synuclein aggregation: cancellation of aggregation effects and determination of salicylaldehyde neurotoxicity" Yonghwang Ha, Hyunjeong Liew, Hyun Young Park, Kibong Kim, Yoo-Hun Suh and David G. Churchill, Neurosci. Res., 2011, 71(2), 168-177. "Destruction and Detection of Chemical Warefare Agents" Kibong Kim, Olga G. Tsay, David A.Atwood and David G. Churchill, Chem. Rev., 2011, 111(9), 5345-5403.